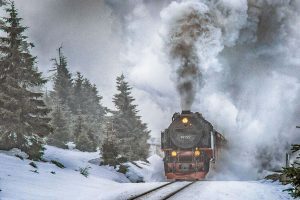 Holidays with children in the Harz Mountains: Cliffs, watercourses, caves and ruins make Family holidays in the Harz Mountains a trip to adventure land (Facts about the Harz Mountains). 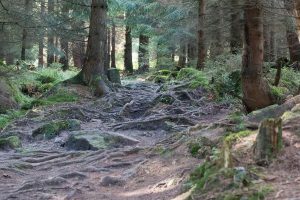 Parents and children roam through dense Harz forests, over moors and on mountains, as far as small and large feet can run. Already by its nature, the low mountain range is exciting, beyond that quite different trip goals for families arrange the stay eventful. 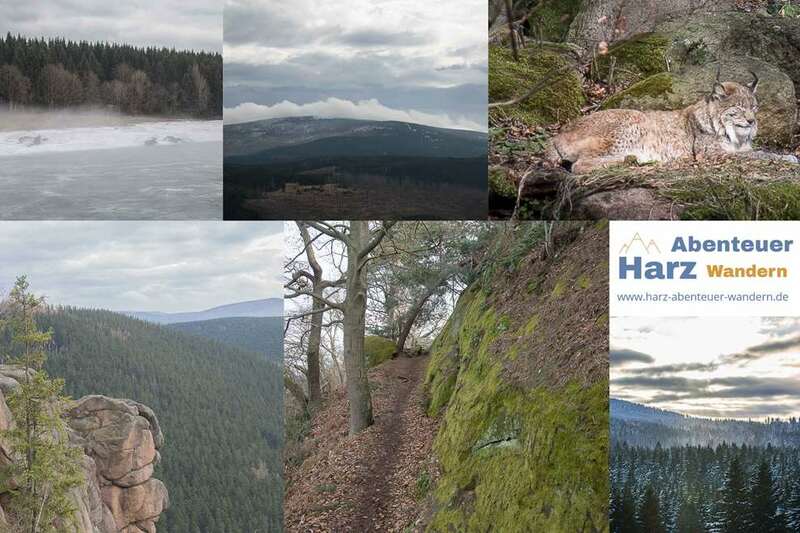 Thanks to this diversity, boredom when hiking with children has no chance in the Harz region. Holiday homes and apartments as well as a family hotel in the Harz Mountains are suitable as domiciles during family holidays. Whether witches actually live in the mystical forests is not proven, rare wild animals certainly exist. For example Lynxes and wildcats, but these are shy and rarely cross the trail. They can be observed in special enclosures, just like the capercaillie, which no longer occurs in the free Harz wilderness. Animal enclosures such as the Wildpark Christianental and the Auerhuhn-Gehege at Lonau are therefore popular destinations with children of all ages. Other animals such as squirrels, peregrine falcons, herons and deer can be found in their natural habitats. The flora of the Harz region is no less interesting. Between the high trunks of conifers, under crippled spruces, in mixed forests as well as on meadows and in moors fascinating plants are native. Around August flesh-eating plants bloom in the Torfhausmoor and in the Brockenengarten, alpine flowers can be admired. Wild strawberries, blueberries and raspberries tempt you to snack, but mushrooms should only be collected by connoisseurs. Children are often amazed when they discover a real fly agaric. The many herbs and wild flowers along the way can be identified with a suitable book or app. This makes the hiking tour even more entertaining. If the children are bigger, a hike on the devil wall near Blankenburg is a highlight. The Devil’s Wall consists of rugged rocks and offers a wonderful view of Blankenburg Castle and the Harz Mountains. What activities did you undertake with your children in the Harz Mountains? 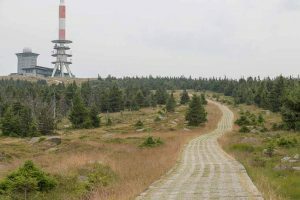 Hiking in the Harz Mountains can, but does not have to, take place on wide or even paved roads. Especially for little adventurers the natural paths are usually more interesting. 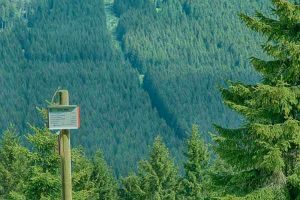 These lead to all altitudes, are designed as circular paths, short distances or long-distance hiking trails and are connected to the region’s branched network of hiking trails. From this, parents can put together suitable hiking tours with children and, for example, to karst caves, through the Selketal, to the Hexentanzplatz and up to the Brocken . For hiking with small children, paths that are suitable for prams are better. From Bad Harzburg it is very easy to hikes with children. You can make a hike to the Lynxes at the Raven Cliffs with children and prams and shorten the trip at any time and use the bus back to the valley during the summer months. From a certain age the little ones can also be placed in an all-terrain handcart. Sporty hikers also take their offspring to the Harzberge in the children’s carrier. In addition, long tours can be shortened with cable cars or the Harzer Schmalspurbahn. Family hotels in the Harz Mountains offer childcare so that parents of small children can go on challenging hikes. Whether a longer break or a short holiday and hiking with children in the Harz is planned, the suitable accommodation contributes to the pleasant stay. The choice ranges from a family hotel to a holiday apartment to a hut in a holiday village. Families who live in a holiday home in the Harz mountains can plan their time individually and meet the needs of all family members. In addition, the experience of nature usually begins right on your doorstep, and there are often hiking trails nearby. 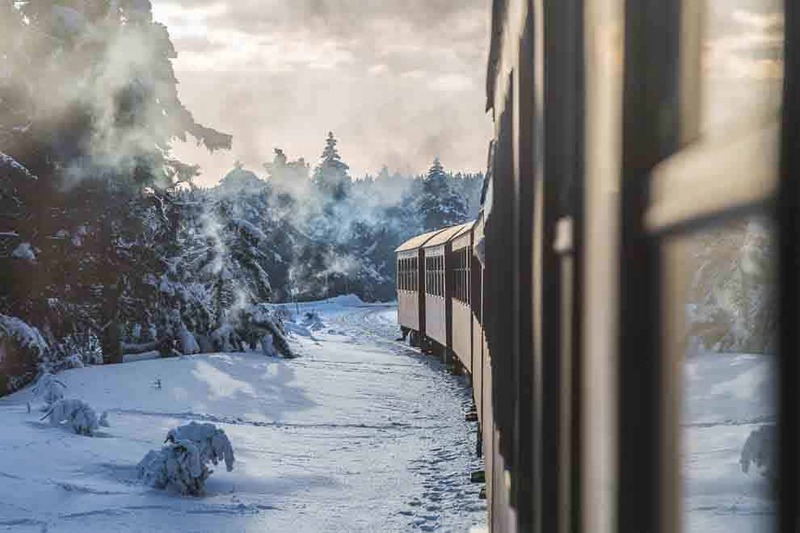 It is irrelevant whether the Southern Harz, the Upper Harz or the National Park Harz is chosen, because basically all Harz regions are suitable for the family holidays. In addition to the wanderings there are numerous other activities in the Harz Mountains with children. On hot summer days, a visit to the Walddschwimmbad Hahnenklee, which is located at the Kuttelbacher Teich, is recommended. The youngest come on the Märchenweg at Torfhaus at their own expense and several summer toboggan runs in the region invite you to take part in rapid descents. Interesting for film fans, some scenes from “Otto und die 7 Zwerge” were shot on the fairytale trail. In winter, tobogganing takes place on the snow-covered slopes and dropstone caves and the caves in Rübeland can be visited all year round. The list of possible excursion destinations is almost inexhaustible. A stamp book of the Harzer Wandernadel often awakens the ambition of young hiking enthusiasts. Finally, with enough stamps, they can become hiking princess and hiking prince or evenhiking emperor. Many stamping places are located at exciting natural sites such as the sand caves below the castle ruins of Regenstein or the Dreibrodesteine at St. Andreasberg. Other stamp boxes are placed near monasteries or castles, others are found at the trenches of the Oberharzer Wasserregales. In any case, the stamp hunt leads to interesting places. A further incentive for excursions through nature is the discovery booklet of the national park, which is both a participatory booklet and a travel guide suitable for children. The Harzregion is a worthwhile destination for families who enjoy hiking. Many hiking trails are suitable for small and large feet and lead to family-friendly excursion destinations. Exciting nature experiences are included. Ideal prerequisite for a short holiday with children in the Harz Mountains.